Cats are my favorite and I love breeding them. I have been a temporary cat mom to quite a few, which included a Himalayan cat, Mumbai cat and a Siamese. By owning a pet, I have noticed that they actually boost our emotional, mental and physical health. Pets actually help to increase the happiness that we experience in life. As our pet is a part of our family, my focus has always been on nutrition and their well-being. While providing a single source of nutrition, it is equally important for us to support the happiness and health of our pets. While breeding them, we have to provide them wholesome and nutrition rich food like we humans consume so that they live a long and healthy life. It’s said that when it comes to cats, many of them tend to live up to 20 years. They also go through various stages of life – taking care of their diet is utmost important so that they can stay healthy. To stay fit and healthy, a proper nutrition plays a significant role in their health like the way it’s for humans. Nevertheless considering their different life stages, some cats and dogs have distinctive nutritional needs. Also some animals may be undernourished, malnourished or may suffer from a disease or illness. In these cases, they require pet food formulated with animal-derived ingredients providing sufficient levels of nutrients needed to support their health. Hence, it is important for pet owners to understand the life stage before choosing the best food for their pet, and work with their veterinarian to ensure they remain hale and hearty. In a bid to keep their pets healthy, many consider homemade pet food. However, it is important to learn about the nutritional adequacy of a recipe, as a vast majority of homemade recipes lacks nutrition. 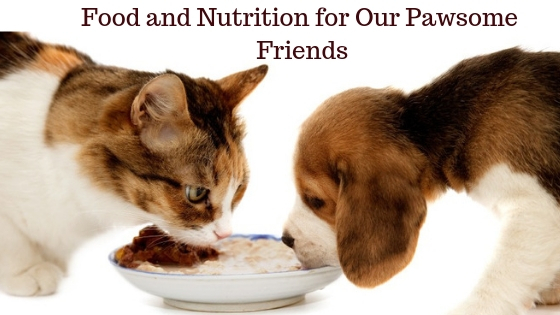 There could be many health problems such skin, bone and joint problems, weight loss and fat accumulation in the liver, resulting from nutrient deficiencies that were most commonly found among the recipes for homemade diets of the pets. When it comes to the well-being of our pets, shoppers have a wide variety of food options to choose from such as wet, fresh or dry. It provides the complete and balanced nutrition, which are essential for healthy dogs and cats at their specific life stage. Pet food is plant or animal extracts that are intended for consumption of pets and can prevent certain diseases. It has unique characteristics such as nutritious comprehensive, digestion and absorption rate and reasonable scientific formula. Typically sold in pet stores and supermarkets, it is usually specific to the type of animal, such as dog food or cat food. In 2015, among the major production areas, North America is the biggest supplier of pet food, with the production of 7500 K MT and the production market share of 31%. Europe is the second largest supplier, with the production of 5600 K MT and the production market share of 23%. China has a relatively higher production growth rate than other regions, and the production was 800 K MT. Market competition is intense. Mars, Nestle Purina, Big Heart, Colgate, Diamond Pet Foods, Blue, Buffalo are the major leader of the market. Most of them have the history of more than 100 years, and they hold the technology and patents, and have formed the monopoly position in the industry. The worldwide market for Pet Food is expected to grow at a CAGR of roughly 3.1% over the next five years, will reach $387 million in 2024, from $323million in 2019, as per a new GIR (Global Info Research) study. Be it for us humans or our beloved pets, the right food should be nutritious and delicious. It should make our pets healthy and happy, so they thrive well. Mealtime is more than just a bowl of food. In fact it is the foundation to a longer and healthier life, together. To know more about the pet food market overview, opportunities and market risks, visit Global Pet Food Market.